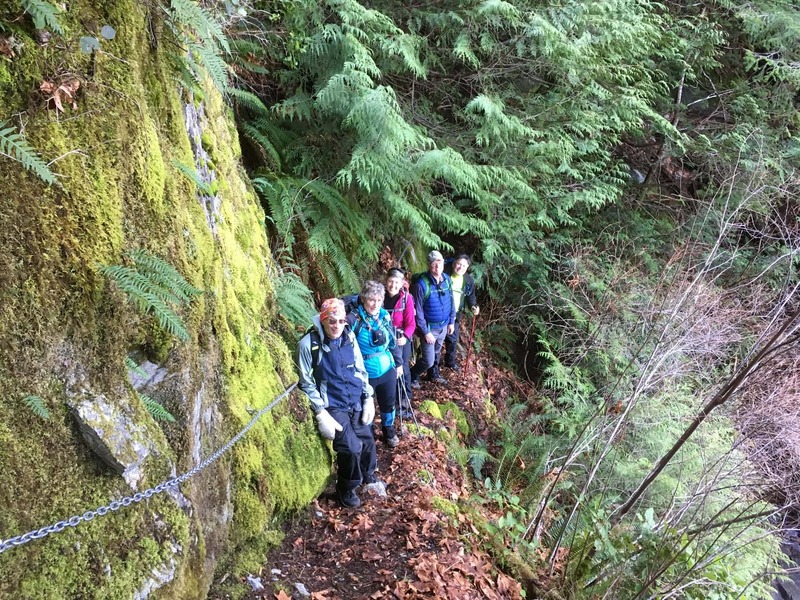 Four club members and two guests set out from China Creek in bright sun to hike stage 2 of the Alberni Inlet trail. Trail conditions were excellent with no mud and few obstructions. 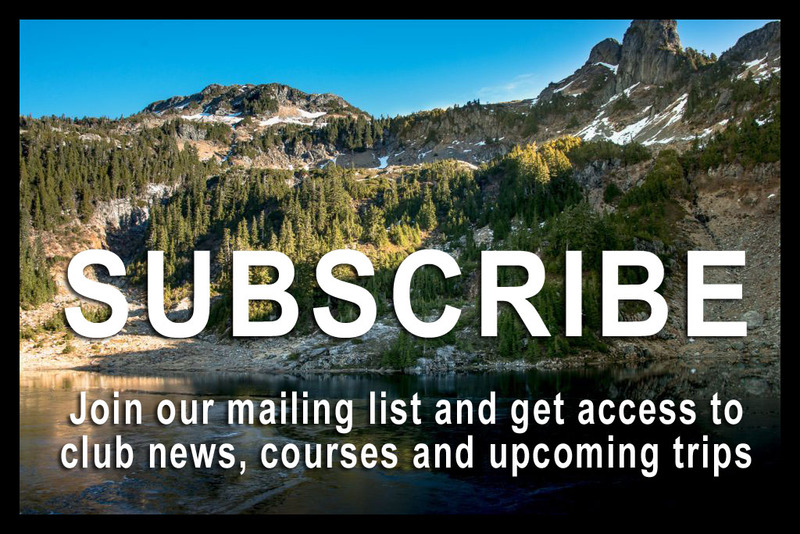 There are viewpoints and beach access all along the trail. 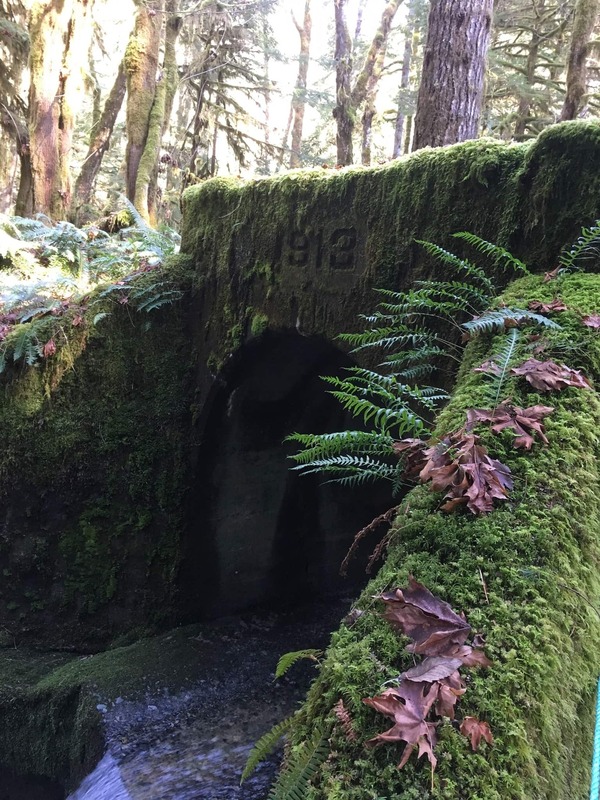 We spent a bit of time on and in the 1913 concrete culvert that is one of the many artifacts of the early 20th century CNPR rail project found along the trail. 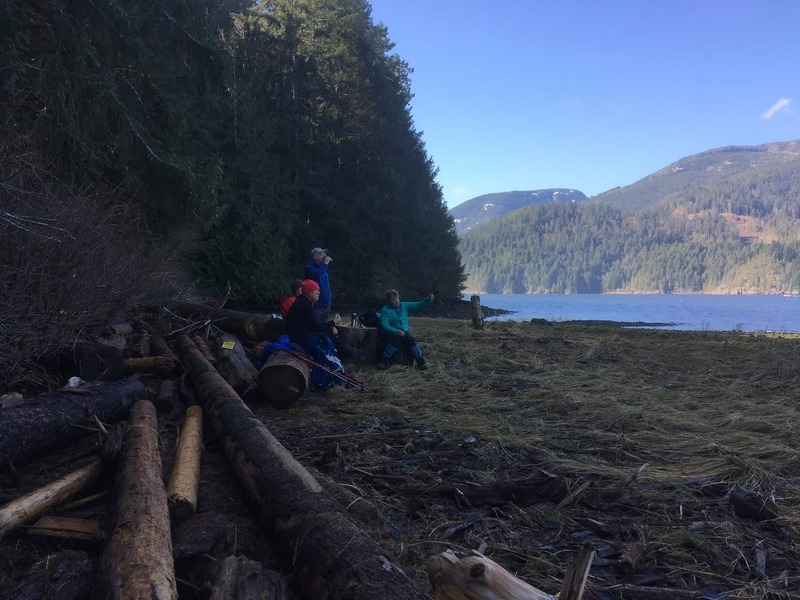 We snacked at Nina’s Cove and were warned by boaters of a large cougar that had left the beach several hundred meters from us heading towards the trail, but we saw no sign of it. 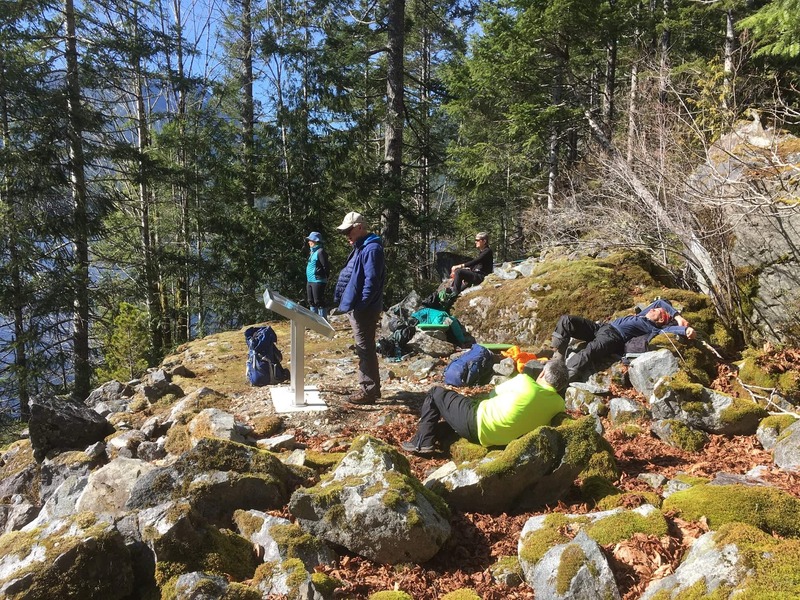 The last 1.5km of the trail is closed due to logging, so we had lunch and naps in the sun at the southernmost viewpoint. There was no excitement but a few laughs on the way back. Ice cream at Whisky Creek made a superb end to a perfect day. Thanks to all for the pleasure of your company.